Enjoy! And please comment below with your own favorite fun-to-decipher (real or imagined) editorial comments. We regret the need to send you this form letter for your recent submission. We don’t want your story. We don’t want you to revise it. We don’t want to see it or hear from you again. Sorry to be so blunt, but we’ve been accused of being unclear in the past. Okay, so we kept it too long! We passed your story around the office for months, I mean years on end and everyone got a chuckle, especially the janitor. But what’s with the talking bees? Haven’t you ever attended an SCBWI conference? Don’t you know we don’t like talking animals? And while we say that we don’t want rhyme, even though your story does not rhyme, perhaps my underlying message is you might want to try rhyme? Still, the janitor liked it so if you want to submit to him in the future, feel free. He just got a new pet goat (that talks by the way). He brings Gertie to work most nights so we should be getting through the slush pile much faster from now on. 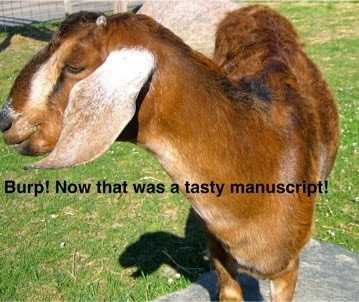 ** No real goats, janitors or editors were harmed in the writing of this blog post. All goats, editors and janitors mentioned here are completely fictitious. Any resemblance to real goats, janitors or editors is purely coincidental. When I joined The Revisionaries critique group http://vimeo.com/71542261 none of The Revisionaries were published. Now we all are. The Revisionaries often give each other random assignments to let loose and keep creative. When I originally wrote the above rejection letter to myself, I was also unpublished. Now I have the following books to my name, including a story with talking bees! Thanks, Bethany for including me. Forecast: Chances of intermittent rejection, with steady times of creativity, humor, heart & hope! Just say, “baaaaaah” to rejection! Check it out. Manuscripts will be accepted through September 30, 2014. Our fourteenth annual New Voices Award writing contest is now open for submissions! The Award is given annually by LEE & LOW BOOKS for a children's picture book manuscript by a writer of color. The contest encourages writers of color to submit their work to a publisher that takes pride in nurturing new talent. Past winners include Bird by Zetta Elliott and It Jes' Happened by Don Tate. Writers of color who are residents of the United States and who have not previously had a children's picture book published are eligible. The Award winner receives a cash grant of $1000 and our standard publication contract, including our basic advance and royalties for a first time author. An Honor Award winner will receive a cash grant of $500. Manuscripts will be accepted through September 30, 2014. See the full submissions guidelines here and answers to some FAQ's about the contest here. Did you know that last year, books written by authors of color made up less than seven percent of the total number of books published (see these CCBC stats)? Change requires more than just goodwill; it requires concrete action. We were heartened by First Book's recent commitment to purchasing 10,000 copies of select books from "new and underrepresented voices." Likewise, the New Voices Award is a concrete step towards evening the playing field by seeking out talented new authors of color who might otherwise remain under the radar of mainstream publishing. 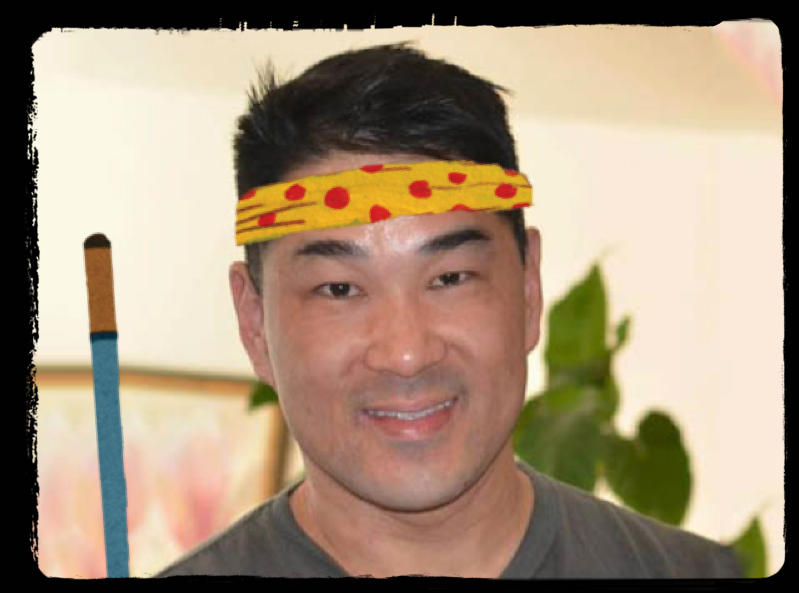 Head on over to Arree Chung's and Kristin Aker Howell's blogs to check out their posts on The Writing Process Author Blog Tour. Please imagine I’ve been blogging regularly, okay? Okay, onward to the writing process questions! I am multi-tasking as usual, working on a few projects in different children’s book genres. I’m revising a couple of picture books, one about a cat that might or might not be real. I’m also diving back into a middle grade novel with a supporting character whose friend might be imaginary. I guess I am working through my own creative imagination process!? I’ve also been taking a poetry class this spring. I’d made it through high school, my undergraduate career and two masters degrees without ever taking a poetry class—until now that is. Needless to say, it’s challenging but I’m learning a lot. I’m stretching my comfort zone which is always a good thing. First off, I write in various genres: picture books, young chapter books, middle grade and young adult. In all of these, I tend to include both younger and older characters, often in an extended family, alternative family or community. Whatever the genre, I aim to write stories filled with humor and heart. I don’t seem to have a choice. The characters, ideas and stories come to me and inspire me, but often in incomplete form. My job is to try to capture the heart of the characters and figure out their story or journey on the page. It’s often a puzzle. I’ll have the snippet of an idea that intrigues me, or perhaps a spunky character, a unique question or line of dialogue, or an interesting opening scene. I’ll start writing to see how the scene develops and explore what the characters have to tell me. Then of course, I keep writing more scenes. Once I’ve captured the first draft, I revise, revise, revise, share my work with my trusted critique partners, then revise and revise again. Who's next? Tag you are it! Arree makes picture books but he didn’t always do so. Once he made spreadsheets all day long and he decided that he wanted to make pictures instead. Arree learned how to draw, paint and think a little bit differently at Art Center College of Design. In the past decade, Arree has worked in the games industry as a designer and Art Director. Arree’s first debut picture book, “Ninja!” publishes June 3rd, 2014. When Arree is not practicing his Ninja moves, you can find him playing basketball or riding his bike. Tag #2, who's next? Tag you are also it, Kristin Aker Howell! I'm also tagging Kristin Aker Howell. Kristin Aker Howell currently enjoys her job as Teacher Librarian at Ohlone Elementary School In Palo Alto. She has co-written a few musicals produced at the First Congregational Church of Palo Alto, and published a couple of personal essays. Her short story, Bondo, won an honorable mention in the Glimmer Train Fiction Open. Kristin earned her MFA in Writing for Children and Young Adults at Hamline University where she developed a deep appreciation for the revision process, which she continues to practice on her many manuscripts for children and young adults. 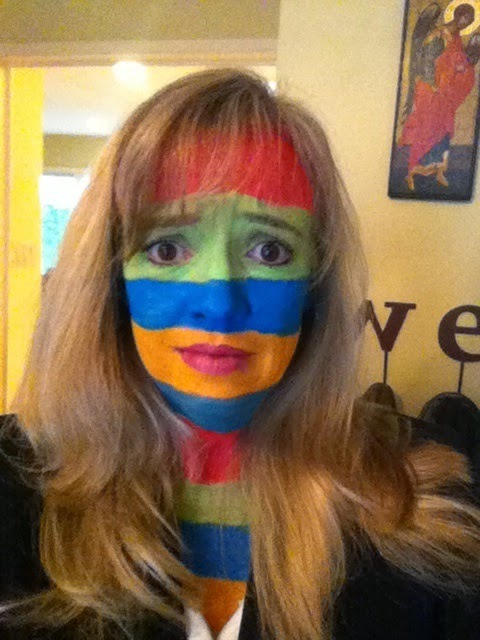 Kristin is searching for a cure to her bad case of stripes. It is definitely not lima beans. While we await Kristin's & Arree's posts, please click below to see more authors on the tour. If you are on the tour and I missed you above, please feel free to leave a link in the comments. Thanks! Forecast: More writing with a chance of blogging? I've been away a bit. Yes, writing. I've also been busy here in San Francisco planning and creating The Writing Garden--where creativity blooms & grows. This week, I'm offering 3 different 3-hour classes. I hope you can join me. All classes & workshops are open to aspiring as well as experienced writers. Children’s publishing presents a vast array of writing opportunities, with many genres to consider: picture books, chapter books, middle grade, poetry, fantasy, and young adult fiction. Many important questions face an aspiring writer of children’s literature. When discovering their own genre and voice, writers must consider: What age is the main character? How old is the intended audience? What’s currently being published? Over three Saturdays, this course will introduce students to exemplary titles that showcase the unique qualities of various genres. Through fun and absorbing in-class writing exercises, students will begin to discover their own voices while exploring various genres in children’s literature. The course is open to aspiring as well as experienced writers, and students may bring five pages of their work-in-progress for discussion in the workshop. 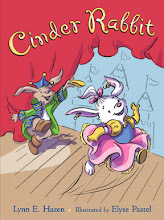 Elissa Haden Guest is the author of numerous children’s books, most recently the picture book, Harriet’s Had Enough!. Books in her ten-book early reader series, Iris and Walter, have been named Junior Library Guild Selections, an ALA Notable Book, a Publishers Weekly Best Book of the Year, and a PEN Center USA West Literary Award. Lynn Hazen is the author of the young adult novel, Shifty, which was named on VOYA’s Top Shelf Fiction list, and was a CCBC Choice and a Smithsonian Notable. 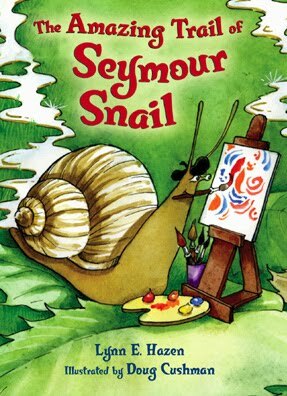 Her other books include Mermaid Mary Margaret, Cinder Rabbit, The Amazing Trail of Seymour Snail, and Buzz Bumble to the Rescue. She received an MA in education from San Francisco State and an MFA in writing for children and young adults from Vermont College. 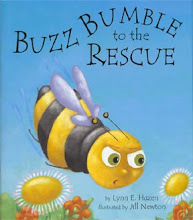 Lynn E. Hazen writes children's and young adult books filled with humor, heart and hope. Lynn's books for younger readers include: The Amazing Trail of Seymour Snail, Cinder Rabbit, (both young chapter books), Buzz Bumble to the Rescue (a picture book), & Mermaid Mary Margaret (a middle grade novel). She has also written a young adult novel called Shifty. Inspiration often comes from her own kids as well as the exuberant children she encounters as a preschool director. Explore art, create your own, travel to virtual worlds, get hands-on, discover special places, be inspired. That’s just a hint at the fun we have in store for you on Family Sundays. Moderators guide participatory art projects, and docents lead family-friendly gallery tours. Special programs like book readings and movie screenings round it all out. Look. Think. Create. That's the plan for Family Sunday. See the Family Sundays page for details. An Imaginary Blog? Sure, why not? That's what fiction writers do, right? We imagine characters, settings and plot twists. I imagine this will be a place to capture creative moments in the life of a children's and YA author--a blog filled with short snippets of humor, heart and hope. Fun at the Movies! Faster than Jiffy Pop! Typewritten Movies-Because Who Has Time For Full Feature? The SHIFTY Card: How to Make a Cool SHIFTY Card!